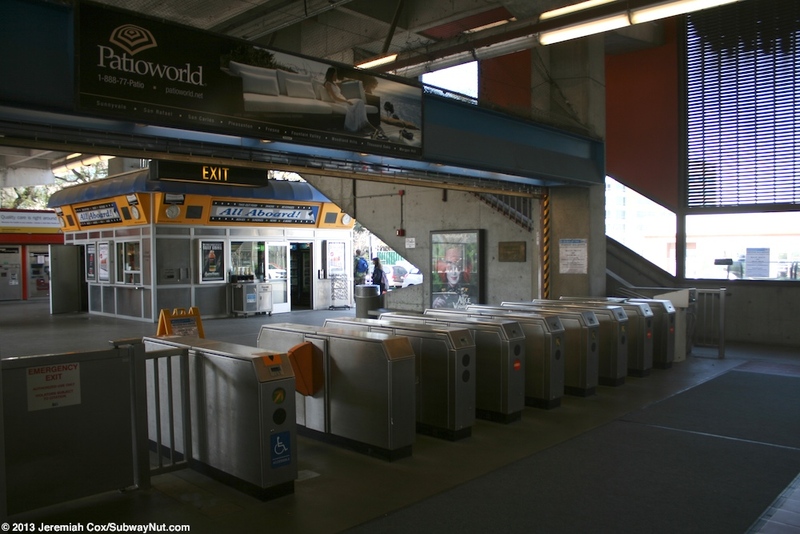 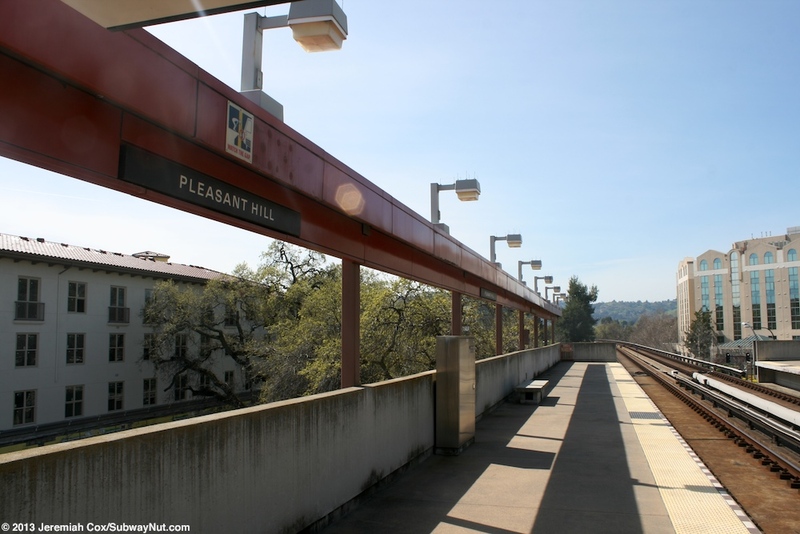 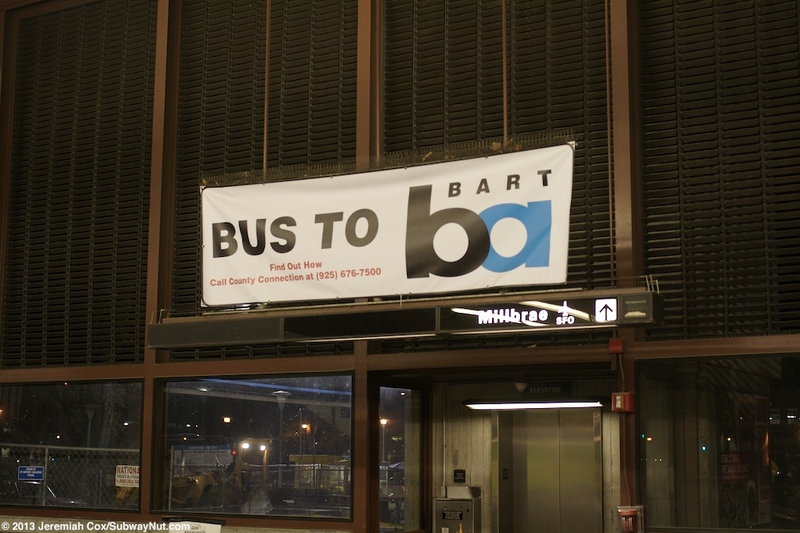 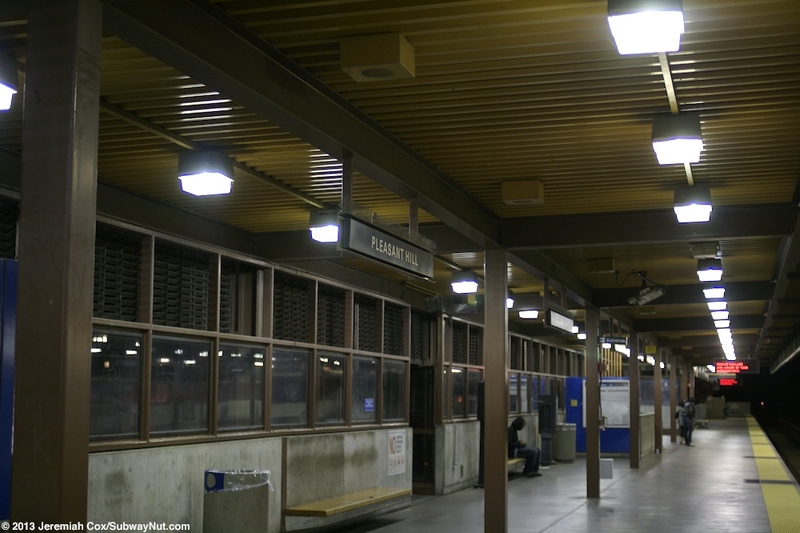 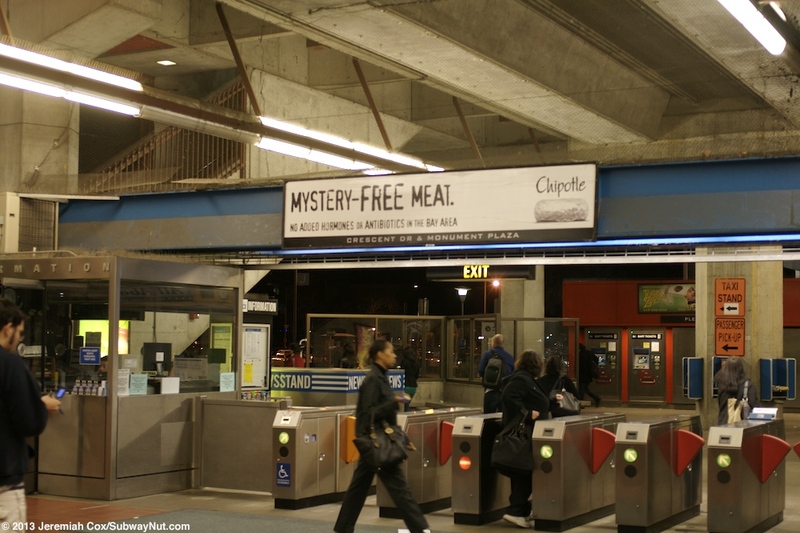 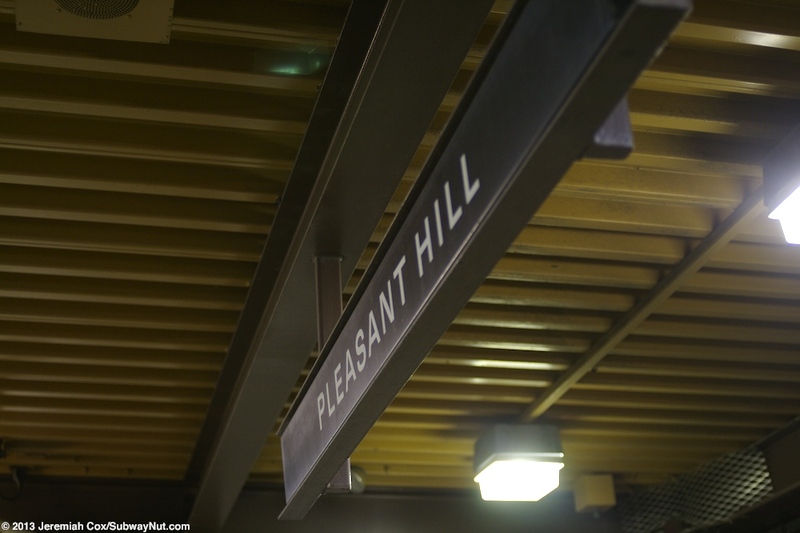 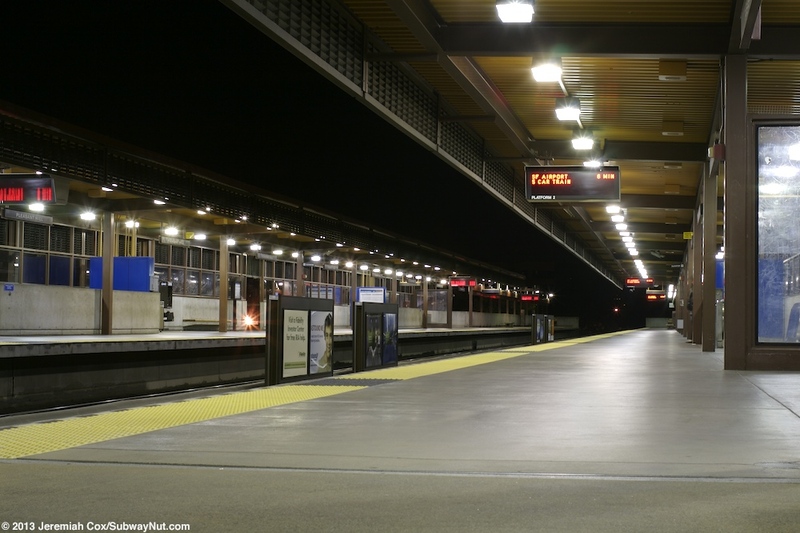 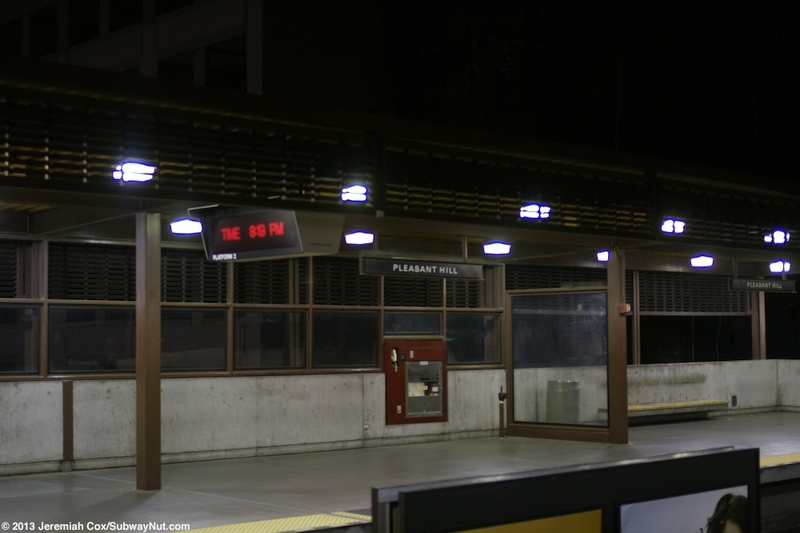 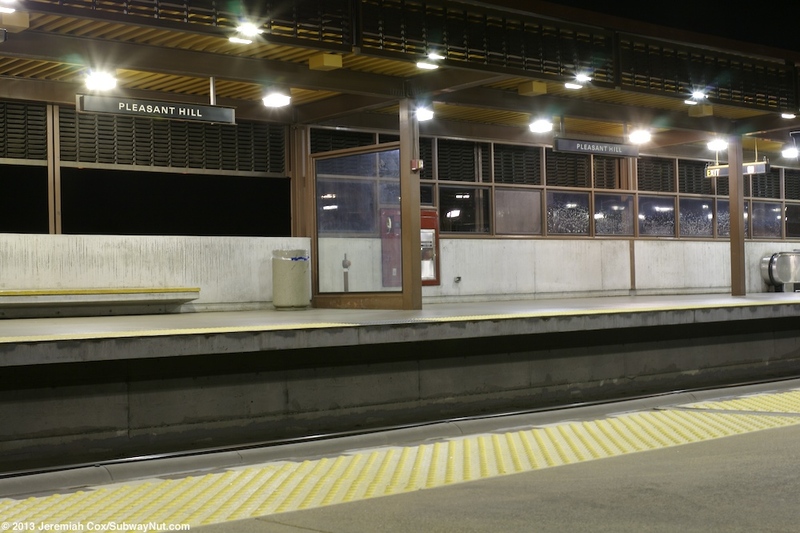 Pleasant Hill, now with a sub-name of Contra Costa Center and the station receiving new inverse black text on white signs is an elevated BART station with two side platforms for the two track Pittsburg/Bay Point Line and opened on May 21, 1973. 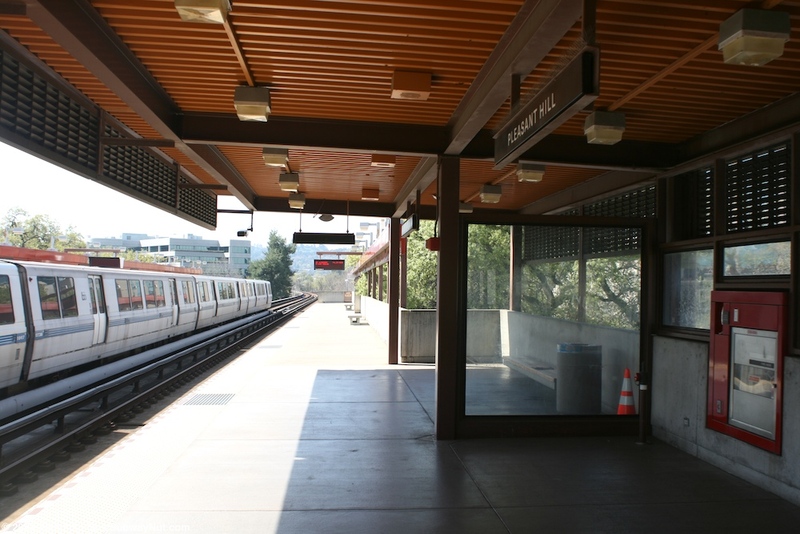 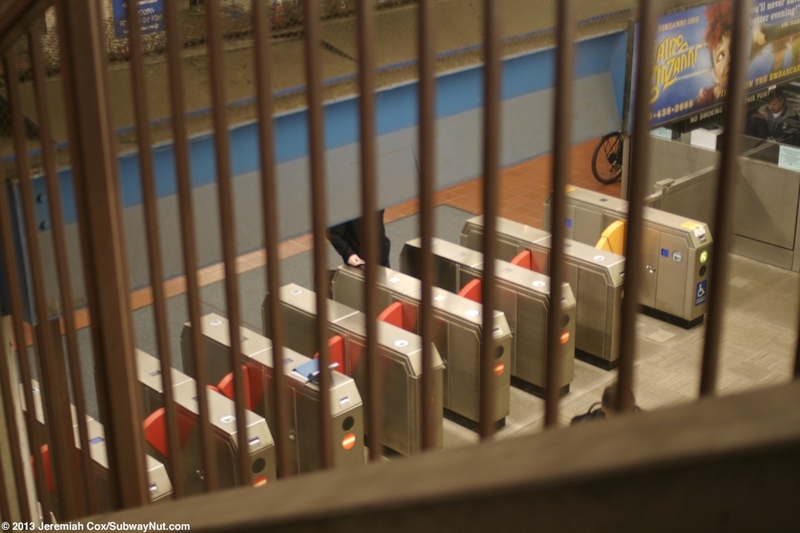 These two side platforms have concrete walls with brown framing for individual canopies only in the middle of the platforms. 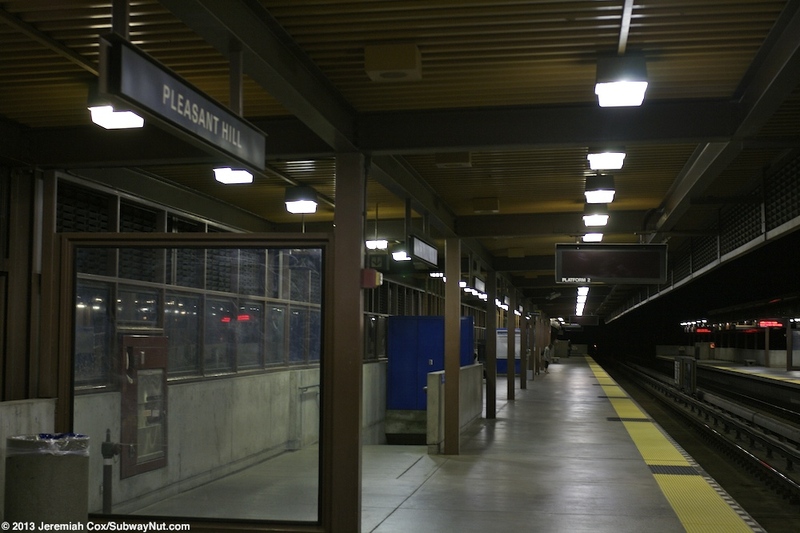 From here fare control is directly beneath the platforms. 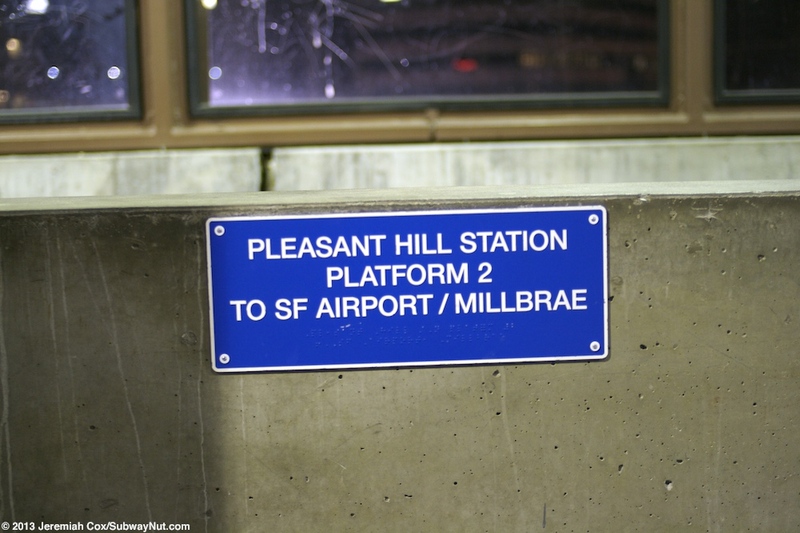 Just west of the platform along Sunne Lane is a modern 3,111 space 7 level parking garage that charges $1 for parking and opened on June 30, 2008. 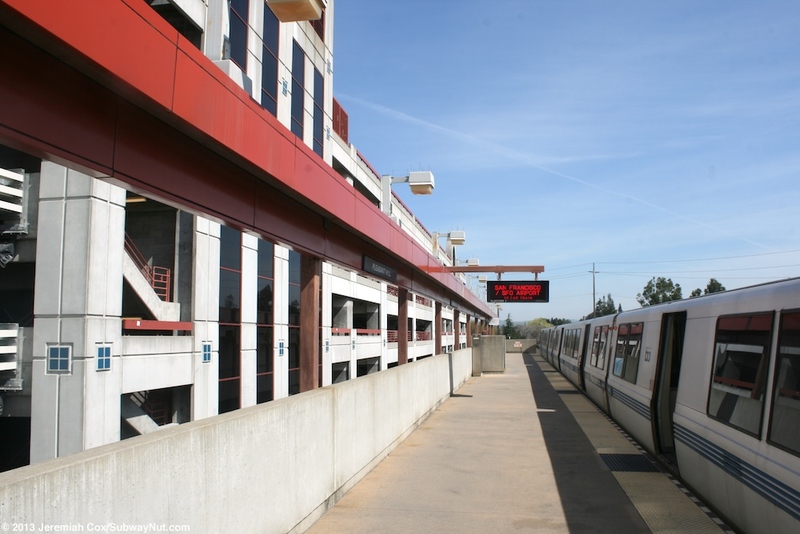 This parking garage replaced surface lots to allow the building of the Contra Costa Center Transit Oriented Development around the rest of the station. 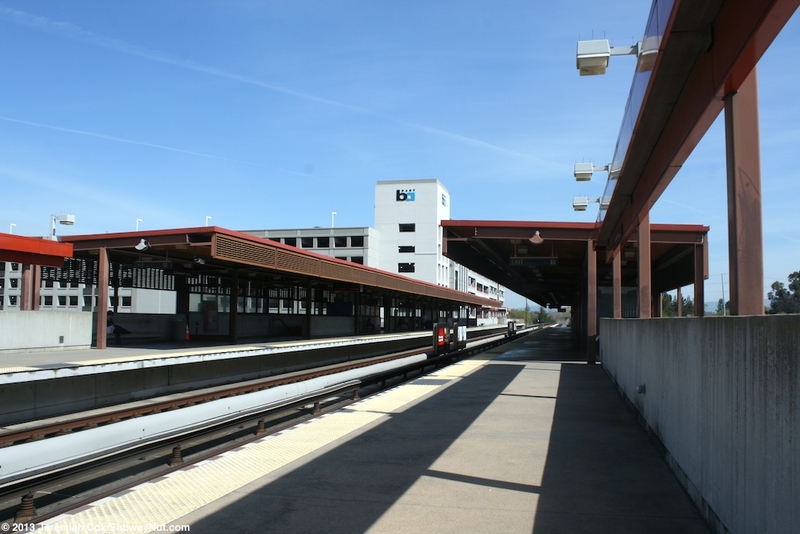 This development is slowly coming together but plenty of original BART parking lots still sit fenced off an abandoned around the station. 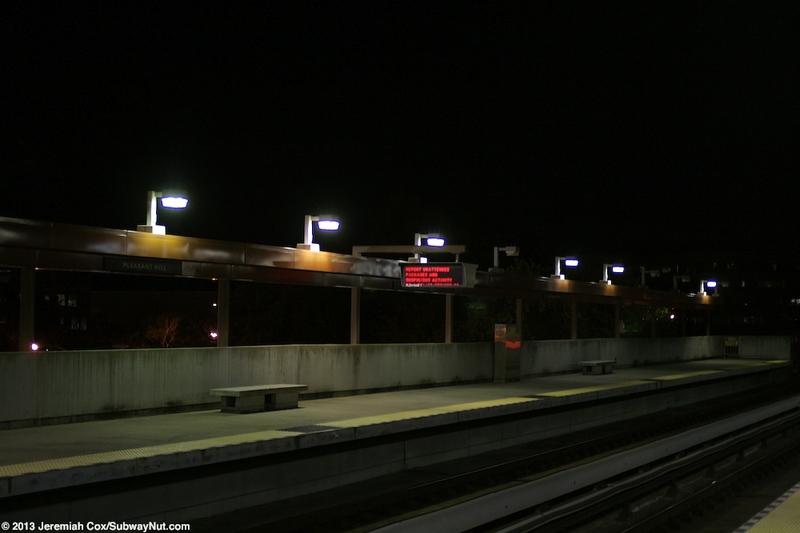 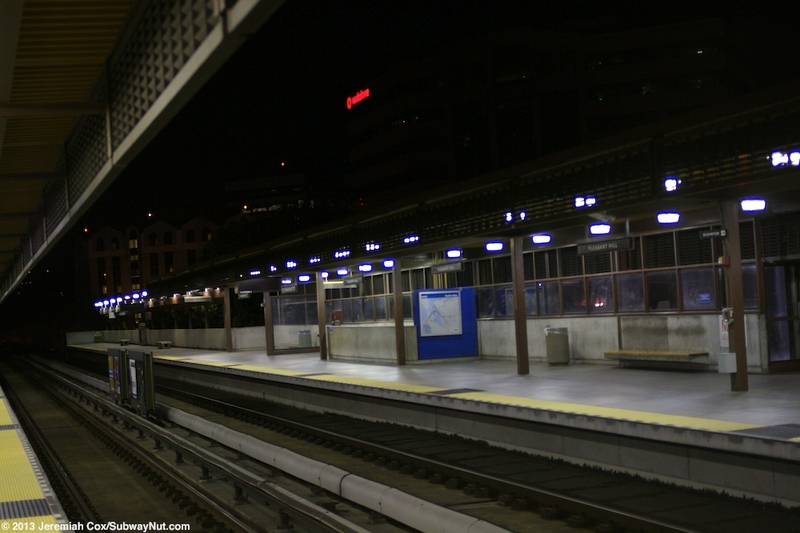 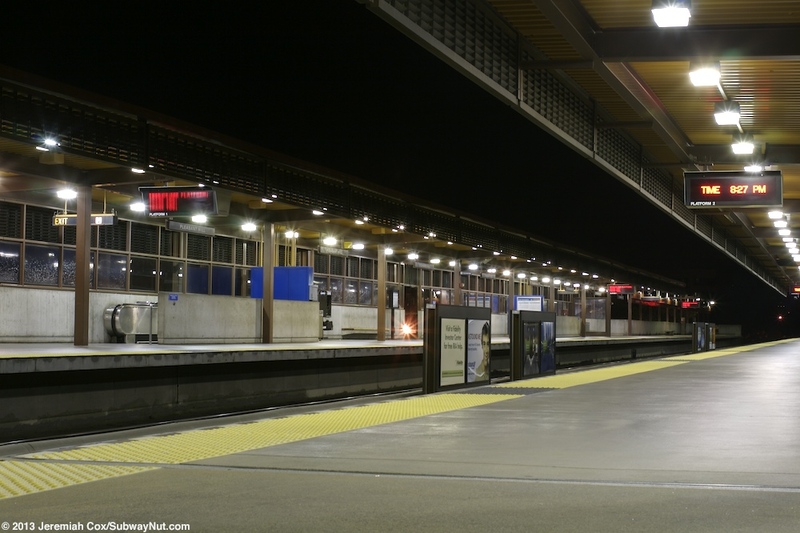 The development has also modernized the station, in addition to the new signage, the lights in the lampposts towards the ends of the platforms are new with LED lights. 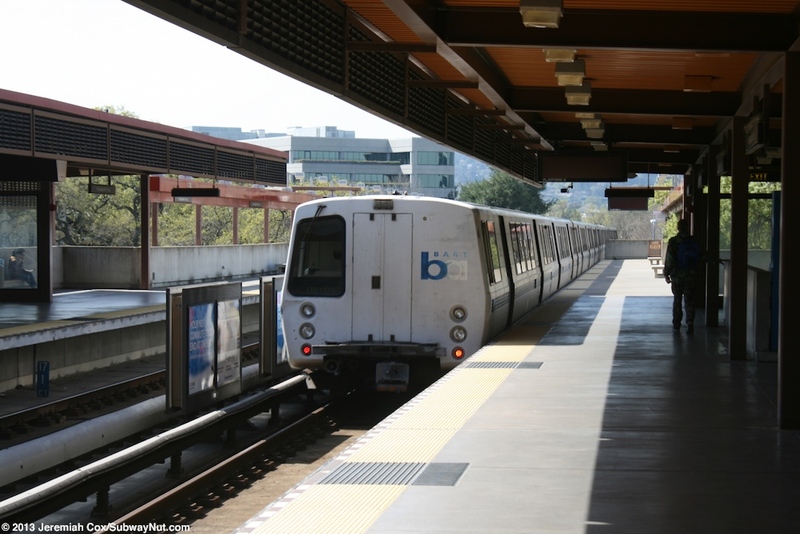 Outside the station BART logos dot the sides of the station and the concrete just looks cleaner. 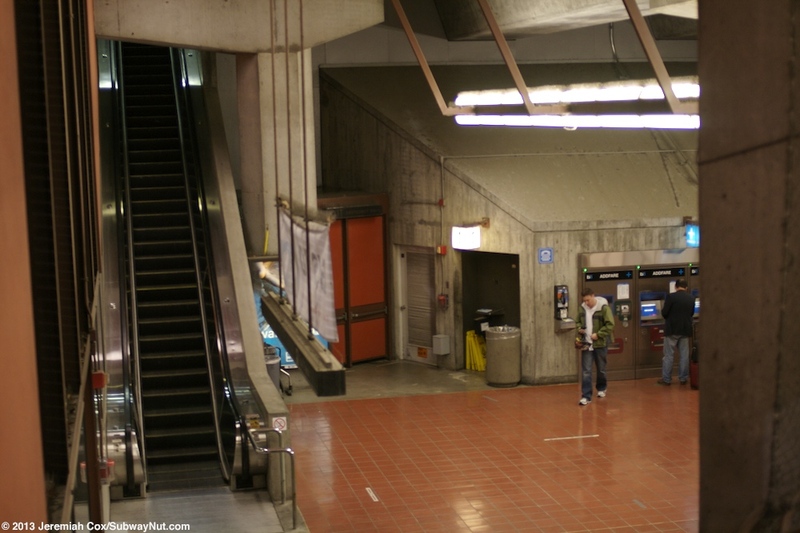 Clocks now dot the sides of the elevator shafts.